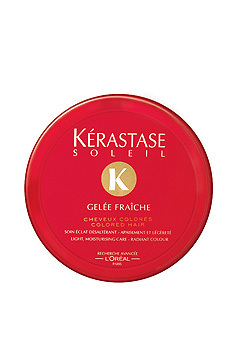 Gelee Fraiche - Intensive and soothing gel-creme Masque for coloured and normal hair under the sun. Apply evenly to towel-dried hair. Massage into hair and leave in for 1 minute. Emulsify by adding a little water and rinse out thoroughly.